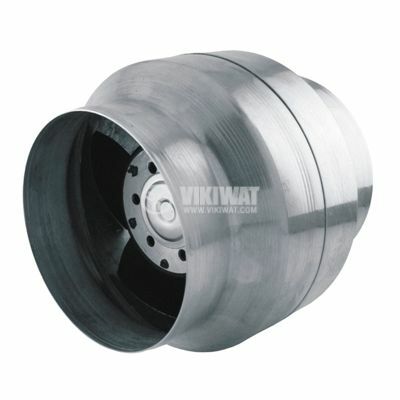 Duct Fan BOK135/110 with supply voltage 220 VAC, power 42 W and airflow 205 m3/h. Suitable for workshops, offices, warehouses and other industrial or commercial premises. The fan is used in the industry for ventilation in large rooms with normal working environments. colour - silver Protection grade - IP44.